Cashback Reward : Earn up to 102$! 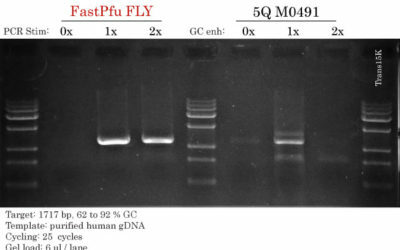 TransStart FastPfu High-Fidelity DNA Polymerase is a fast, high-fidelity and high-processivity DNA polymerase combined to double-hotstart (TransStart®) technology. 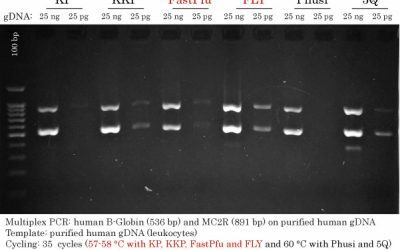 It consists in a modified Pfu Polymerase increasing its affinity for dsDNA and enhancing processivity and other caracteristics. The extension rate is about 2-4 kb/min. Fidelity is 54 times higher than EasyTaq DNA Polymerase. 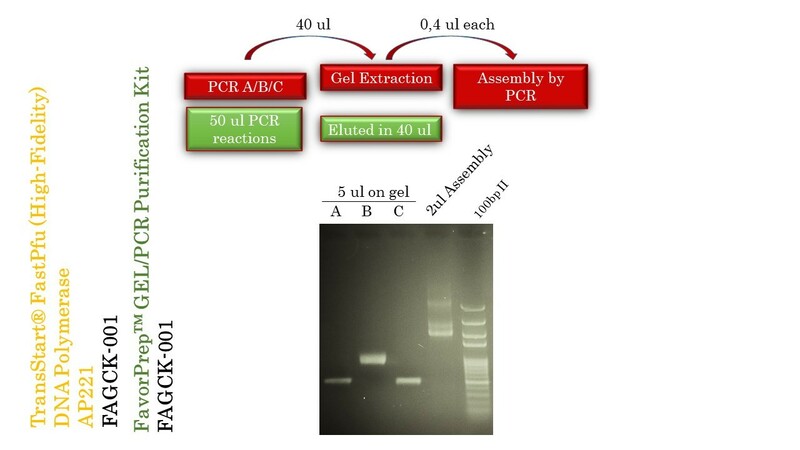 Blunt-end PCR products can be directly cloned into pEASY®-Blunt vectors. Amplification of plasmid DNA fragment up to 20 kb. La FastPfu torche totalement. oui!…torche! 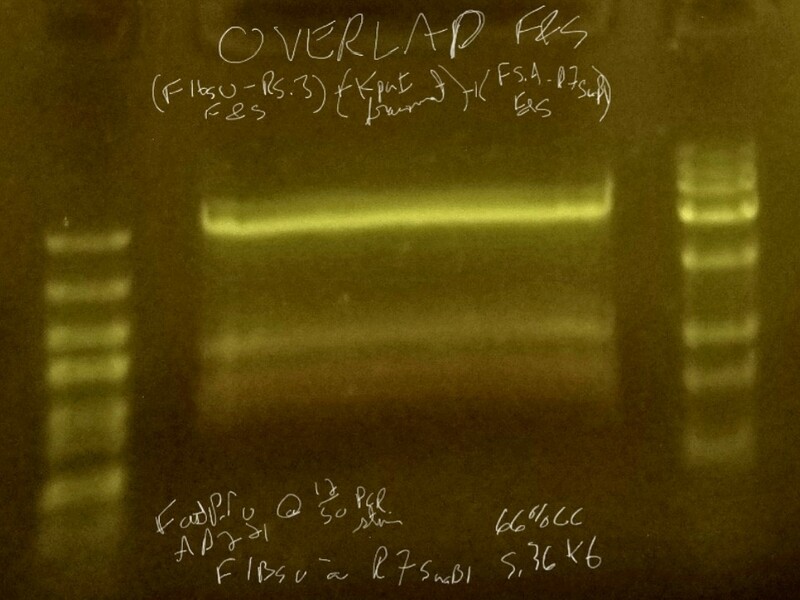 Voici un triple overlap extension PCR en mode “Fast and Steep PCR” (seule et unique tentative) totalisant 5.36kb et d’une moyenne de 66% GC [58; 82%]. Merci Mathieu. Your comment will help other scientists. If you had a chance to add an image, that would be greatly appreciated!